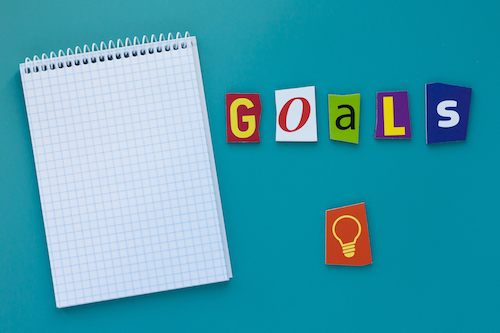 It’s important to have real, specific goals in your business; this applies to your website as well. These goals can be financial, personal, or simply involve an aspect of your business (“build an effective website” for example). It can sometimes seem overwhelming to determine goals, and even more overwhelming to think of achieving them. Here are some tips on doing both of these. Strategy – As you develop a strategy to reach your goals, you will have goals within that strategy. For example, if your goal is to start your own small business making hand-sewn handbags, then your strategy may be to make ten handbags to have available before beginning and to sell all ten in your first month.Within this strategy, there are steps – you will need to schedule in the time it takes to make the handbags, and determine the amount of money needed to buy the materials. Then you may also need to set up a website and post ads to get the word out. Even within these steps are more steps – setting up a website involves multiple steps, as does advertising. Break everything down into small, specific steps and look at it on paper. Time – Be honest about how much time you have. So many times it’s tempting to set goals we can’t reach because we just don’t have a grasp on how much (or how little) time we have. Also, hours on paper seldom work out exactly right in real life – you need some breaks (no one is a machine), and life happens.For example, if your kids are in school from 8am to 3pm, you may think you have seven hours to work that day. But if you’re honest, it may be more like five by the time you factor in lunch, bathroom trips, driving to and from the school if you drive your kids, and so forth. Keep track – Keeping a record of your business ventures, expenditures, income, and overall progress toward your goals can help you get a handle on how well you’re doing. This can also help you see areas in which you need to improve and areas where you excel.